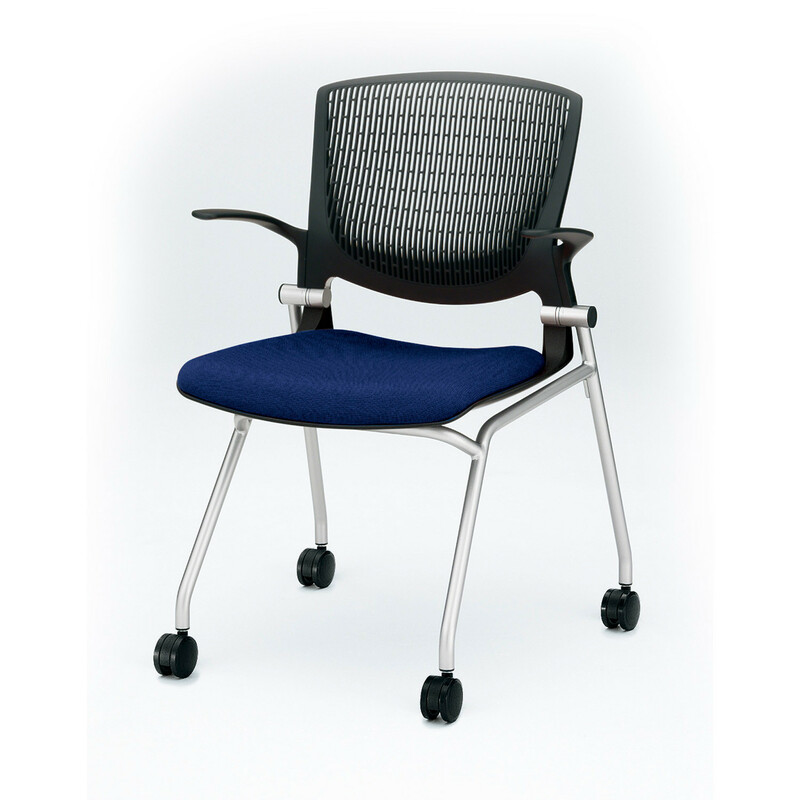 Grata Chairs are a versatile seating solution designed for use in the office to facilitate co-working, training, meetings and conferences. 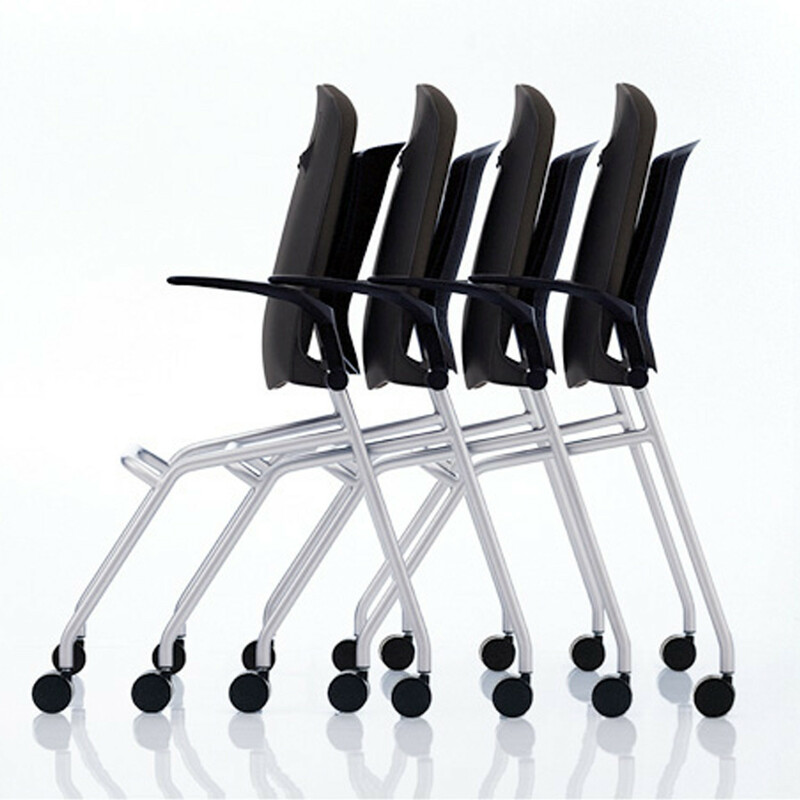 The swivel model incorporates height adjustment and synchro-reclining functionality providing an ergonomic seating experient. 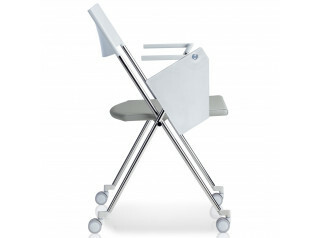 The nestable training model can be easily set-up or stored with its nesting design. 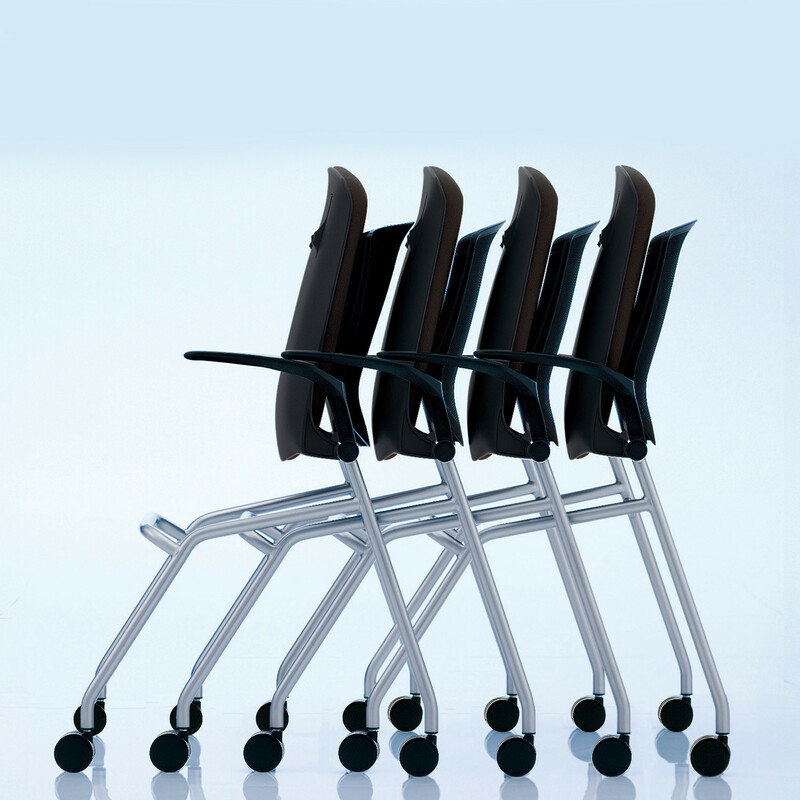 The light, spirited structure and functionality of the Grata Chairs ensures the comfort of participants in all kinds of business activities. • Major components are labeled for ease of recycling All company activities managed by ISO 14001 system. • Smooth rolling castors (60 mm diameter). 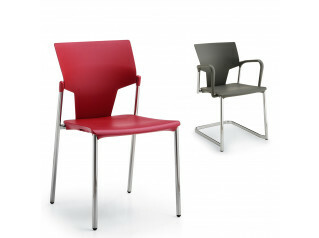 Material: Aluminium, steel and polyamide. Lead time: 8 weeks. 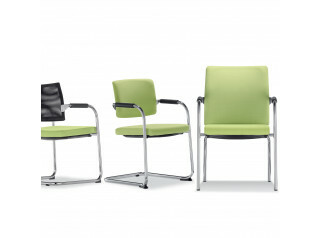 View more furniture from Okamura. You are requesting a price for the "Grata Chairs"
To create a new project and add "Grata Chairs" to it please click the button below. 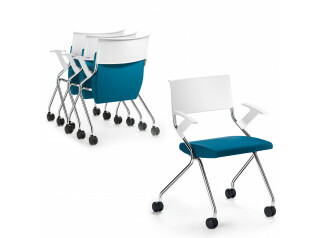 To add "Grata Chairs" to an existing project please select below.